Trove India is a Hyderabad-based company that specializes in hand-painted products. Their concept is to make handmade merchandise that are traditional yet contemporary. 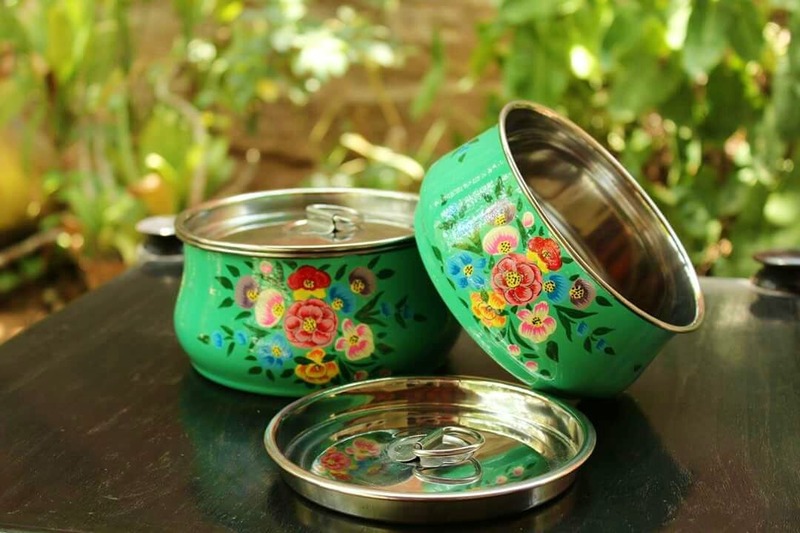 These items are painted by rural artists, which is one way to preserve our heritage handicraft. Trove also has a beautiful collection of metalware including steel canisters, coffee filters, spice boxes, tiffin boxes, trunks, the costing of whose starts at INR 700. The entire collection is so vibrant and colourful with beautiful motifs, that it is definitely something one should buy to decorate their kitchen or for gifting purposes. Their set of 3 canisters for keeping tea/coffee/biscuits is a must buy. Since they operate out of a small design studio, the process to order is slightly lengthy. They make small quantities, so if you want to get your hands on their items, then place your order according to the availability.